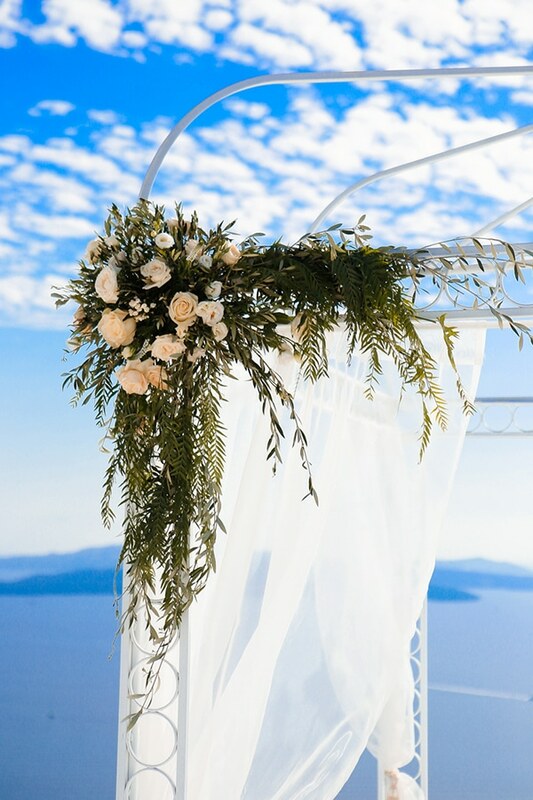 We are sharing today a gorgeous wedding that took place at the beautiful and so romantic island of Santorini! 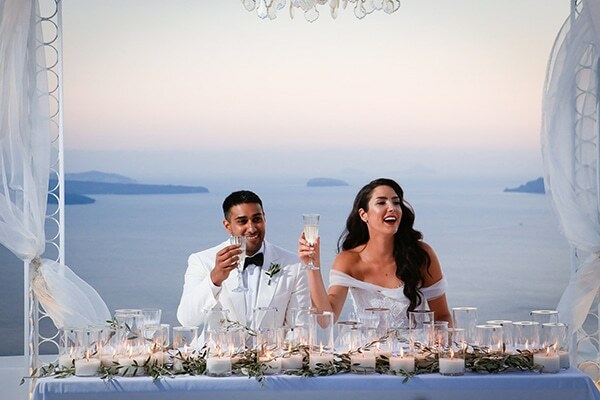 The island itself serves as the best wedding backdrop, so the couple chose to complement its beauty by adding candles and white and green details in the decoration. 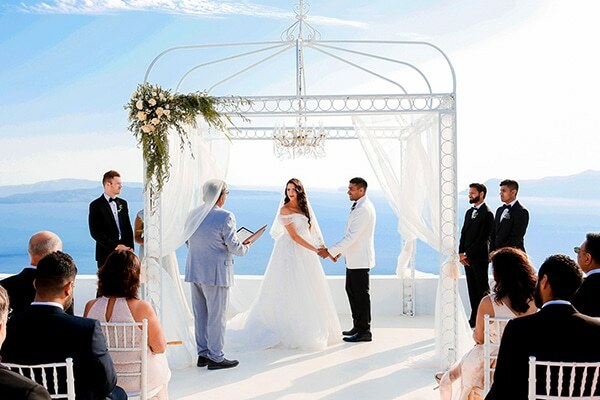 The couple exchanged its vows in front of its closest friends and family and with an amazing view in the background. 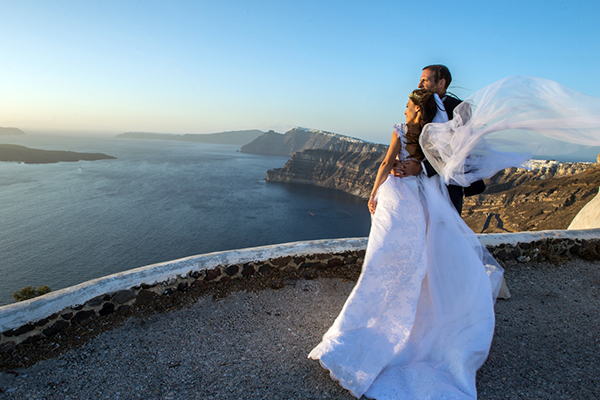 Have a look at the following photos captured beautifully by Kapetanakis Studios and be mesmerized! 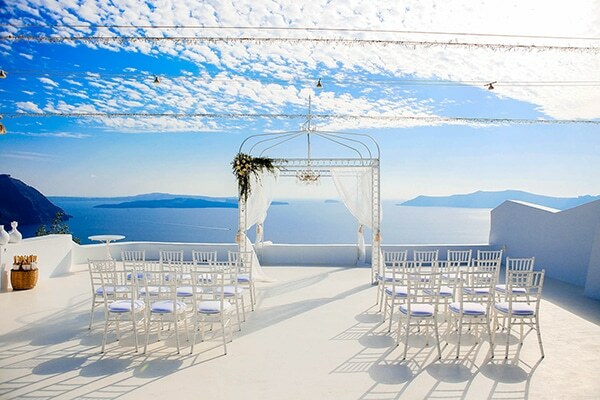 “Our ceremony took place in Santorini, Greece at the Diamond Rock Venue. 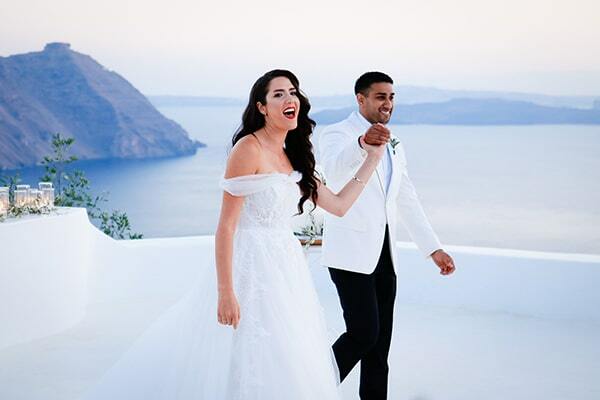 We chose Santorini because we knew that is where we wanted to honeymoon and after a year of being engaged and an out of control guest list, we thought why not move the wedding to the most beautiful place with only our nearest and dearest by our sides. After choosing the venue we just fell in love and it was honestly the best decision we could have ever made! People are still gushing about our wedding. We definitely made the right choice”. 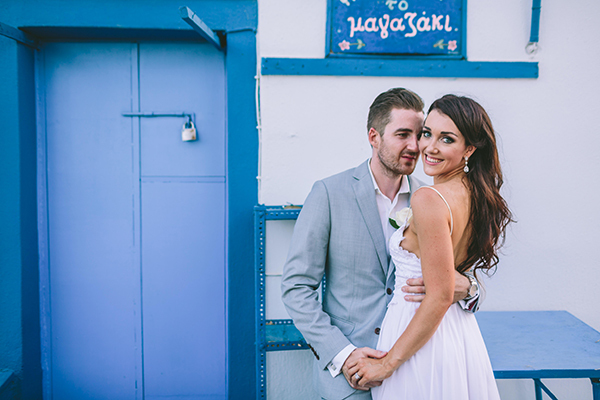 “For our wedding decoration we had candles, candles, and more candles. I wanted soft light and a white/organic theme. 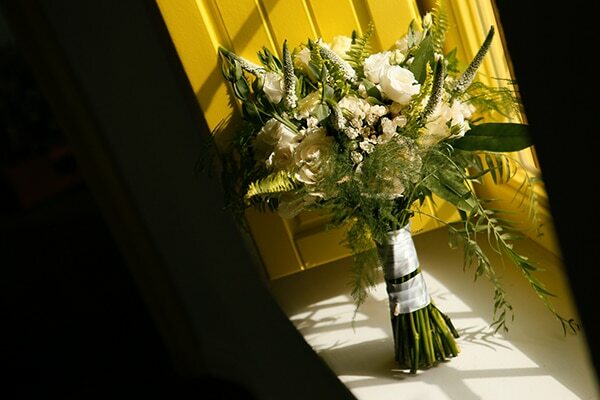 The decor was inspired by a wedding I saw in France published in Vogue magazine that had low lighting, loads of candles and overhead string lights”. 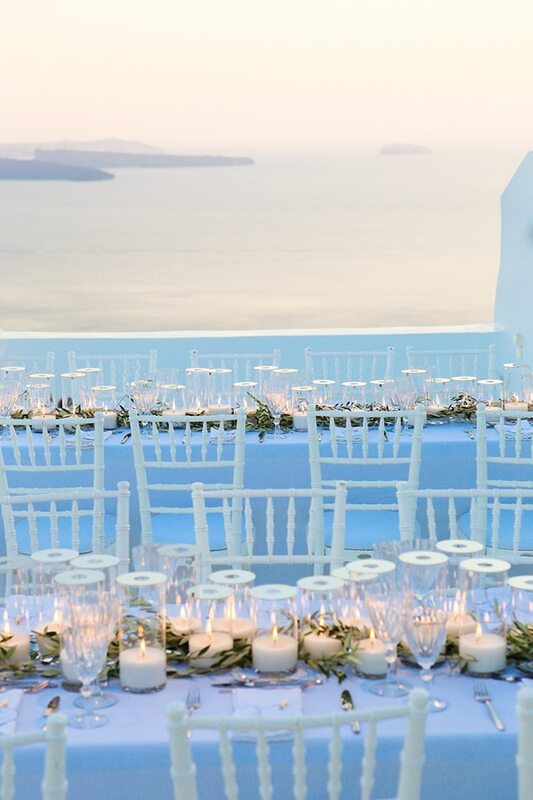 “The overall idea was to honour the Santorini landscape and the ocean backdrop of our wedding – pure romance was our theme. 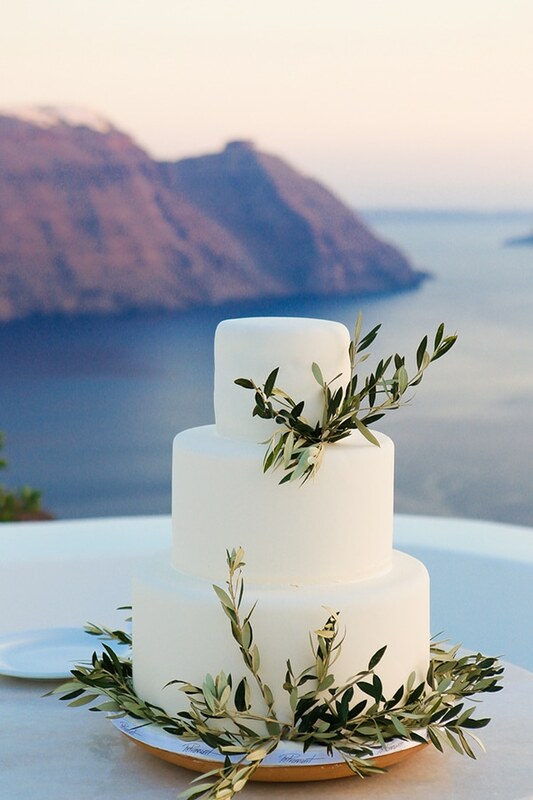 Candles were our main color (if that’s even possible) and lots of white with green organic accents (i.e., olive leaves, green vines etc). 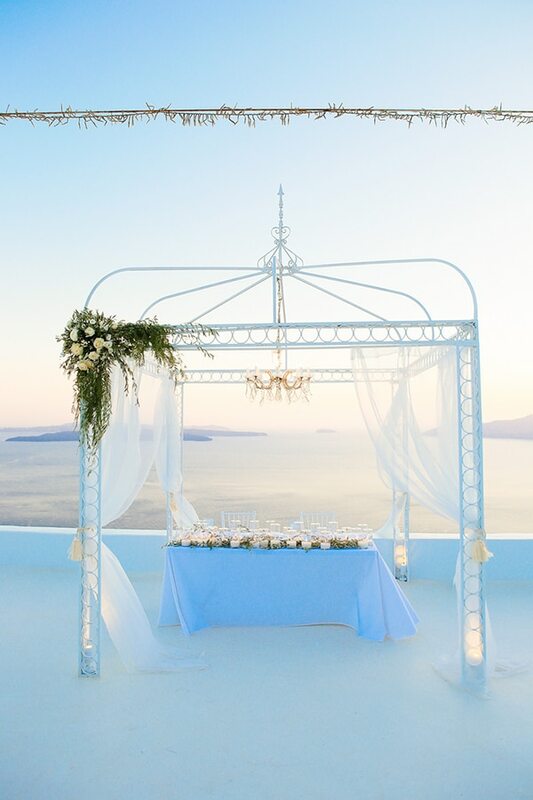 I wanted something simple but elegant – nothing that would distract the party from appreciating our surroundings”. 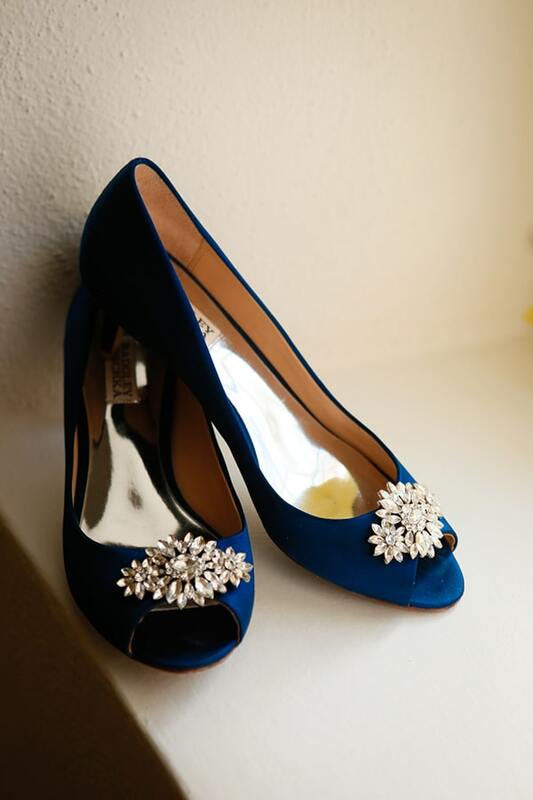 Bride’s advice: “Get a wedding planner and coordinator. And just know that something will go wrong, and you just need to be flexible because no one else is going to notice! Also, and this part is key, try to be present and in the moment. The day goes by so fast so try and soak it all in and make it last as long as possible. 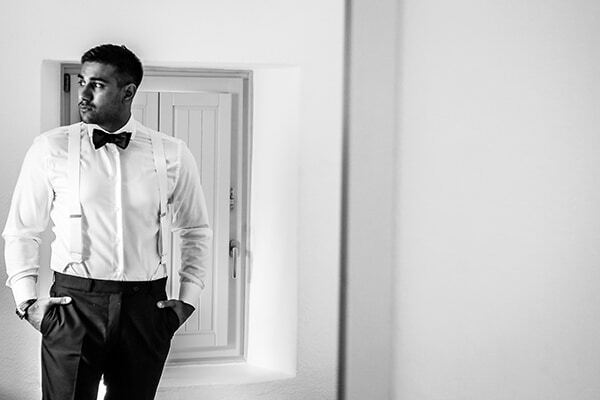 And remember it’s about the two of you and your love – nothing else matters!